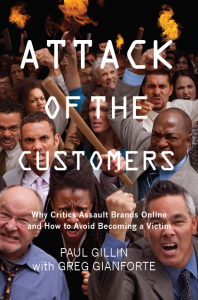 The following is an excerpt for the forthcoming book, Attack of the Customers: Why Critics Assault Brands Online and How to Avoid Becoming a Victim, by Paul Gillin and Greg Gianforte. The target publication date is late 2012. I’ll be posting a few excerpts here during the next few months and would appreciate your comments. Berkeley professor Robert Wilensky uttered that memorable quote in 1996. Were he speaking it today, he might refer instead to Twitter. Twitter is the enigma of social networks. It’s limited to text messages of 140 characters. It doesn’t support photos, videos or applications natively. Instead of friends, it uses the simpler connection metaphor of follower or subscriber. Even its website is so weak that only a minority of its members use it. How does a service with so little going for it create so damn much trouble? The answer lies just above the number 3 on your keyboard. The hash tag (#), which was created by the Twitter community to help bring order to the service’s inherent chaos, has become one of the Internet’s most powerful organizing and amplification tools. It’s helped Twitter become a core utility for arranging everything from book signings to mass protests. It’s also established the popular microblog service as a prime channel for customer complaints and a favored tool of the critics we call “Casual Complainers.” The #fail tag, which denotes poor performance by a person or company, is monitored by millions and is not one you want to see next to your name. More than five years after Twitter launched, we still hear questions all the time about its value. To the uninitiated, it’s a cacophony of voices sharing mostly useless information. And to a large extent that’s true. The low barrier to entry and ease-of-use are two of Twitter’s most endearing points. People can share anything and they do. The power of Twitter comes from filtering out the junk and focusing on what’s important to you. Twitter’s simplicity and accessibility are it strongest features. Messages can be sent and received on nearly any cell phone. Updates are instantaneous, which makes Twitter a valuable news tool. When seeking updates on a breaking news story, Twitter is often a much better source than the traditional media. Instead of relying on just one channel for information, you tap into the collective reports of many. Within a few seconds of news breaking anywhere, it’s on Twitter. People with large Twitter followings can quickly magnify a complaint with a single retweet, and the media has learned to use Twitter both as an amplifier and a leading indicator of developing news. While Twitter has occasionally been used to originate major attacks, its 140-character message limit doesn’t permit much poetic license. Attackers are more likely to post their gripes on a blog or Facebook and use Twitter to extend their reach. Twitter, Facebook, e-mail and other social networks are all amplifiers to some extent, but Twitter is unique in that its content is public. Facebook members share messages and links mainly with people they already know. In contrast, following a hash tag enables you to see all messages from all Twitter users about that topic. As a result, awareness can spread more quickly on Twitter than in any other social medium. While the number of links shared on Twitter is less than one-third the number shared on Facebook, Twitter links are clicked on about 12% more often, according to a study by ShareThis, Starcom MediaVest Group and Rubinson Partners. Sharing a tweet with one’s followers is a two-click process on most PCs and mobile devices. This ease of sharing is why Twitter’s amplification power is so great. About 40% of messages on Twitter include a URL. This makes Twitter a rapid vehicle for spreading long-form content like videos and blogs. Another distinguishing – if not unique – value of Twitter is its speed. Messages can be fired off in a few seconds and instantly reach a global audience. The combination of speed and hash tags has made Twitter an effective medium for managing crowds. During the Occupy Wall Street protests in New York in 2011, for example, the #needsoftheoccupiers tag made it possible for supporters to identify and respond to requests from protesters for everything from books to pizza. Organizers were able to move protests fluidly around the city by posting new locations to the #OWS tag. Twitter has attracted an enthusiastic audience but not a very diverse one. The service is particularly popular with professional communicators, journalists, marketers, technology professionals and social media enthusiasts. Celebrities have embraced it as a way to connect directly with their fans (for example, more than 1,700 NFL players are on Twitter, according to Tweeting-Athletes.com) and media organizations have adopted it en masse to get bonus visibility for their coverage before it hits the newswires. Acceptance by such visible people has perhaps made Twitter’s influence disproportionate to its actual numbers. In fact, most Twitter members use the service very little. A 2009 study by Sysomos reported that 85% of Twitter users post less than one update per day, 21% have never posted anything and only 5% of Twitter users produce 75% of the content. Bottom line: While Twitter may be the small compared to Facebook, its vocal and influential member base can create trigger a storm of controversy with amazing speed. Twitter has played an amplification role in nearly every social media attack of the last four years. Journalists monitor trending hash tags to detect stories bubbling up through social media. Many create filtered tweet streams of the companies, government agencies and celebrities they cover. You should do the same for your own company and brands. Although major attacks rarely begin on Twitter, the service is a good way to identify problems before they get out of hand. One reason airlines watch Twitter so closely, for example, is that frustrated customers take first to their smart phones when delayed on the tarmac or frustrated at the ticket counter. Twitter was the vehicle director Kevin Smith used in February, 2010 to express outrage about being denied seating on a Southwest Airlines flight because airline personnel claimed the 300-plus-pound Smith wouldn’t fit in a single seat. Smith tweeted his attacks for days and continued the criticism on his podcast. Southwest stuck to its guns and arguably suffered little from the incident, but media attention kicked off a bigger debate about America’s obesity epidemic and the responsibility of businesses to accommodate oversized customers. One unique form of Twitter attack is “brandjacking,” or false accounts that appear to be real. The critic may use an account name that’s substantially similar to a visible person or brand to post satirical or embarrassing messages. The most notable example of Twitter brandjacking was @BPGlobalPR, which popped up during the 2010 Gulf oil and began skewering BP as the oil company desperately struggled to stop the Deepwater Horizon spill. The account attracted 160,000 followers – more than four times the following of BP’s real North American Twitter account – and generated huge amounts of media coverage. The fact that the author remained anonymous until months after the crisis ended contributed to public curiosity. A rogue employee at publisher Condé Nast created an account that relayed bizarre comments overheard in the elevator. @CondeElevator was quickly shut down, but not before its follower account exceeded 80,000. A similar account about elevator gossip at Goldman Sachs was still active and being followed by more than 260,000 people as of this writing. It’s doubtful the investment banker would want its customers to hear comments like “Retail investors should be circumspect of any offering they’re able to get their hands on. If you can get it, you don’t want it,” but private conversations like that are now public record. Twitter has cracked down on parody accounts that deliberately misrepresent a brand, but the policy doesn’t apply to individuals, and variations of brand names are still allowed. Celebrities like Hosni Mubarak, Roger Clemens and William Shatner have been portrayed by fake Twitter accounts and brand variations like @ATT_Fake_PR and @FakePewResearch provide satirical and often very funny sendups of their targets. If you’ve been brandjacked you can appeal to Twitter directly, but be prepared to wait. If the satirist is working within Twitter’s guidelines, you have to take a more conventional crisis management approach. The best defense against a Twitter attack is to listen. Free Twitter clients like TweetDeck and HootSuite do a good job of catching mentions of your brand or products. If the volume of mentions is large, or if you want to filter for sentiment to detect a surgeon negativity, you’ll need a paid listing tool like Radian6, Lithium or Sysomos. Listening is easy and low-risk, but think twice before you let your branded Twitter account wade into a conversation. The precedent you set may come back to haunt you when people begin to expect response. Unless you’re prepared to devote resources to engaging on Twitter every day, the safest course is just to keep your ear to the ground. We can’t think of a good reason why every company today shouldn’t have a branded Twitter account. Even if you only use it to disseminate press releases, it at least plants a flag in this increasingly critical community. If you do need to engage in a discussion, at least be familiar with the culture and style of the participants. Know who’s influential so that in a crisis you can get messages to people with the broadest reach. Use a consistent Twitter account to avoid confusion. It’s fine to retweet via other accounts that you own or influence. Address affected parties, not spectators. If the problem affects just a few people, ask them to follow you, then send a direct message with an e-mail address or phone number to resolve the issue out of public view. If you know nothing about the issue being discussed, send a tweet stating that you’re looking into the problem. Then tweet follow-up information as you receive it. Show empathy, but stick to the facts. Don’t debate hecklers. If the problem is systemic (such as an outage or recall), create a Web page or blog post with details about the situation. Post updates there and tweet them under your account(s). If there are people with large followings involved, consider tweeting updates directly to them. It’s OK to ask for a retweet. For a problem affecting multiple customers, consider creating a unique hash tag for updates. When the problem is resolved, tweet that. Many consumer-focused companies are now using Twitter for front-line customer support. Twitter can be a great tool for such purposes, but be aware of what you’re getting into. When you set the precedent of addressing complaints within hours or minutes, customers will come to expect the same service all the time. Failing to deliver it can actually create a problem. Consider this case: In 2009, Paul tweeted a complaint about his credit card provider and was pleasantly surprised to get a nearly instantaneous response from a representative of the company. The rep asked Paul to contact him privately via direct message, which Paul did. He never heard from the rep again. Several months later, Paul was attending a reception at the South by Southwest conference when he ran into the very same credit card rep. The man told him that at the time of their original cash in 15 minutes direct lender, he was the only employee of the company – which is one of the largest financial firms in the world – authorized to communicate on Twitter. Swamped by the thousands of messages customers were tweeting every day, he had simply stopped responding. Do not let that happen to you. Occupying Wall Street: The Inside Story of an Action that Changed America (New York and London: OR Books, 2011) p. 156. Alex Cheng and Mark Evans, “An In-Depth Look Inside the Twitter World,” Sysomos Resource Library, June, 2009, http://www.sysomos.com/insidetwitter. 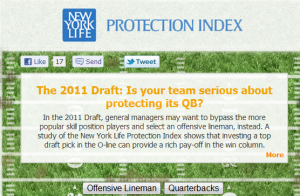 (accessed July 21, 2012). The author turned out to be Josh Simpson, a 26-year-old aspiring comedian from Los Angeles whose career has no doubt been boosted at BP’s expense. There are scores of these tools on the market but few comprehensive ratings guides. 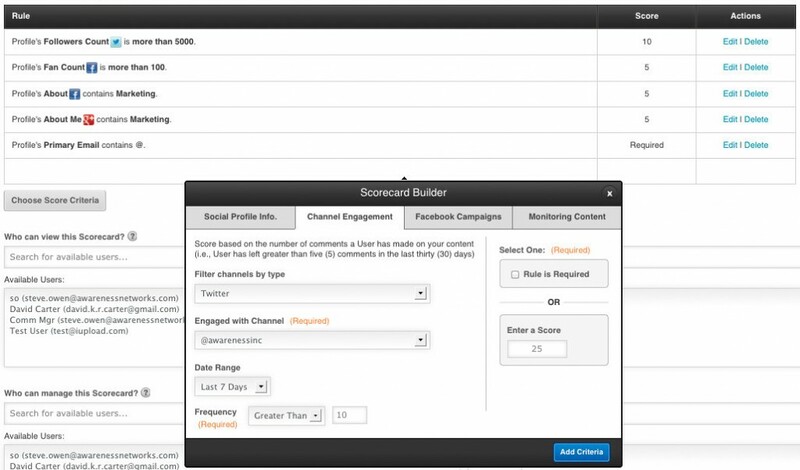 Two places to look are Bulldog Reporter’s PR Monitoring & Measurement Software Buyer’s Guide (http://www.bulldogreporter.com/2012-pr-monitoring-buyers-buyers-guide-comparison-chart) and the Social Media Monitoring Category of TopTen Reviews (http://social-media-monitoring-review.toptenreviews.com/). Be careful when relying on Google search for evaluations because the market changes rapidly and many top Google results are three or more years old. I prepared summaries for my upcoming Search & Social Double Whammy seminar on May 2 in Burlington, MA describing the “big three” social networks: Facebook, LinkedIn and Twitter. My goal was to describe in plain English the way these networks provide value to their users and the metaphors they use for interaction. Perhaps you’ll find these basic explanations useful in some context. And if I’ve missed or misstated anything, I’d appreciate your corrections. The two most popular social networks – Facebook and LinkedIn – use similar tools and metaphors to provide strikingly different utility. Both are based upon a foundation of personal profiles and “friends,” which LinkedIn calls “connections.” Profiles are online identities that define members’ backgrounds and interests and reflect their activities and contributions to the community. The more active members are in the community, the greater their influence and the richer the interactions with other members. Friends and connections are persistent relationships between members that require mutual consent to create. Friends can see information about each other that others can’t, and because connections are maintained by the social network rather than by individual members, they outlast job changes, relocations, relationship changes and other disruptions that often cause us to lose contact with others. Marketers can think of these communications as a Web 2.0 version of the classic impression, but social network interactions are potentially much more important because members can comment upon, endorse and share other members’ activities with their own networks. This means that a compelling message can be spread far and wide by the members themselves without investment or active involvement by the person or organization creating the message. Good content sells itself. Facebook is the overwhelming favorite of business-to-consumer companies because the action is free-wheeling and fun. Good Facebook marketers provide a constant stream of information that provokes conversation and interaction among members. Contests, polls and games work particularly well there. LinkedIn is a favorite of B2B marketers because its members go there mainly to discuss professional interests. LinkedIn’s roots are in networking for job-seekers, but the service’s active professional discussion groups and useful Answers section have become favorite places for people to gather and share information about their work. LinkedIn also enables members to identify shared connections and to form relationships with others through friends-in-common. This makes LinkedIn a compelling new tool for professional networking and lead generation. Twitter is still a mystery to many people. How can rich conversations form when people can only speak 140 characters at a time? It turns out you can say more in 140 characters than you may think, and Twitter’s forced brevity actually encourages people to share information they wouldn’t communicate through long-form media like blogs or even e-mail. The core feature of Twitter is the activity stream. It’s an endless flow of news, recommendations and observations that create endless opportunities for connection. You can find and engage with people on Twitter whom you could never reach by any other means, and it is arguably the world’s best source of breaking news. It is also a valuable extension of any company’s online presence. Twitter is a loose-knit social network in which members subscribe to each other’s activity streams in a relationship known as “following.” Unlike Facebook’s friends or LinkedIn’s connections, following does not require the consent of both parties. Anyone can follow anyone else unless explicitly blocked by the person being followed (a rare occurrence). As members amass more followers, the value they give and take from the network increases. People or brands with large followings can reach a large number of people directly because their messages appear in followers’ activity streams. While the percentage of people who see any individual message may be small, the ease with which messages can be forwarded – or “retweeted” – to others provides ample opportunity for amplification. In fact, a study by ShareThis found that the average retweeted message is shared 18 times. While the volume of messages on Twitter may seem overwhelming and unmanageable, there are a variety of useful ways for people to organize and discover interesting topics. Members can filter the entire Twitter stream by keywords or “hash tags,” which are category labels members attach to their tweets to associate them with popular topics. Twitter also notifies members by default when their username has been mentioned by another member in a tweet. This notification feature makes Twitter an extraordinarily useful way to find people who may be difficult to reach by e-mail, phone or other media. Twitter is proving to be particularly valuable for organizing and promoting online and real-world events. Hundreds of virtual chats take place each week around Twitter hash tags in fields ranging from medicine to marketing to aviation. Organizers of physical events frequently ask attendees to use specific hash tags when sharing information about the conference, giving the rest of the world a glimpse into the conversations going on at the live event and promoting it to future attendees. “Tweetups” are physical meetings organized on Twitter using hash tags, and anyone is invited to come. Tweetups can be used for anything from attracting fans to a concert to promoting a book-signing or store opening. Twitter is evidence of the power of simplicity. Users have adapted and modified this relatively simple publish-and-subscribe service in thousands of creative ways, making Twitter one of the best tools for finding out what’s going on now in a wide range of professional activities and leisure interests. This graphic, which appeared in The Wall Street Journal on Tuesday, says a whole lot about Facebook’s success and Google+‘s struggles, but it’s an incomplete picture of the true value of social networks. Here are some thoughts on what the numbers indicate and what they hide. The Journal piece was mainly intended to dramatize how badly Google+ is performing in the market despite Google’s huge search footprint. It does that very well. “New data from research firm ComScore Inc. shows that Google+ users are signing up—but then not doing much there,” the Journal writes. Yup. That about sums up my experience. I organized some friends into circles, created a couple of pages and then sat there wondering how this was any different than Facebook. I don’t know how Google can spin these numbers as positive. A spokesman quoted in the story protests that Google+ is simply a social networking layer on top of other services. That’s pretty lame, considering that YouTube has had its own social networking layer for years and that the previous social layer on top of Gmail – Google Buzz – went nowhere. A public flogging in the Journal can be the first step off a cliff for a company or technology struggling to make it, and this is going to hit Google+ pretty hard. There are a couple of areas in which the ComScore numbers mislead, however. The low numbers for LinkedIn and Twitter look surprising, particularly when compared to Facebook, Pinterest and Tumblr, but keep in mind that Twitter and LinkedIn are professional networks that are optimized for efficiency. Many LinkedIn members choose to receive messages as e-mails and only visit the site when necessary. I personally don’t spend much time on LinkedIn.com, but I get far more business value from it than I do any other social network. The low number for Twitter is so misleading that it should be asterisked. For one thing, ComScore doesn’t measure mobile traffic, a fact that disproportionately penalizes Twitter. 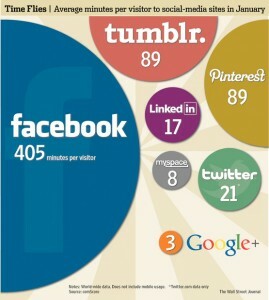 Also, only about 20% of Twitter activity actually occurs on Twitter.com. Most people interact with the service through third-party clients and services that use the Twitter APIs. Twitter doesn’t host any long-form content itself (like Facebook does) or frame others’ content (like LinkedIn) Finally, the whole idea of Twitter is not to have to spend a lot of time with it. Give credit to Facebook. It has fended off competitors by adopting new features where appropriate without trying to be all things to all people. Google+ introduced circles, so Facebook added lists. It did not, however, try to copy the more expensive concept of Google Hangouts. Better to wait and see on that. The Facebook timeline is an effective counter to Twitter, as is the recently introduced subscribe feature. Facebook Answers rained on Quora‘s parade (remember Quora?). It’ll be interesting to see what Facebook has up its sleeve to counter Pinterest. Facebook has responded to competitors by co-opting their best features without trying to stamp them – Microsoft-like – into oblivion. It is a gracious competitor in a business not known for much grace. Given a chance to tap dance on Google+’s miserable numbers in this report, a Facebook spokesman declined. That’s classy. A list of tips for building a quality business Twitter following that I recently contributed to The CMO Site mentioned the value of being the eyes and ears of your followers. “When you attend a conference, play reporter and tell your followers what you’re witnessing,” I advised. An experience from this morning demonstrates the value of what amounts to sharing notes you would probably take anyway.. I attended a nearby Social Media Breakfast on the subject of content marketing, featuring several respected speakers. I had HootSuite fired up on my laptop and Notepad++ pre-populated with speaker handles and the event hash tag. I posted about 30 comments during the 90-minute session, mostly speaker quotes and summaries of what was being said. Using the #SMB26 hash tag ensured that my tweets would appear in the busy stream of comments from the session. Within an hour after the event had ended I had 26 new followers. This required almost no work on my part. I would have taken notes anyway, but by adding a hash tag and Twitter usernames I was able to piggyback on other activity going on around the meeting and catch the attention of people monitoring the tweet stream. Twenty-six new followers is a pretty good week. It’s an awesome day. Don’t overdo it. People don’t like it when their newsfeed is crammed with messages from one person. A couple of years ago I made the mistake of tweeting rapid-fire updates from a conference at the rate of about one every 15 seconds. Several followers admonished me for this and about a dozen stopped following me entirely. My entire tweet stream, in chronological order, is below. That was easy. What’s worked for you when tweeting from events? Thanks to @diginfgrp and @ConstantContact for a great session at #SMB26 this morning. Excellent panelists. I breached the 10,000-follower mark on Twitter yesterday. I marked this milestone quietly because I’m not big on numbers games and have been outspoken against counting success solely in terms of fans and followers. Nevertheless, I have to admit to taking some pride in this number because of the way I reached it. I have never played games to run up my follower count and I only tweet about stuff that interests me. The people who follow me have no incentive to do so other than to discover and learn from information I share. When I post a question to my followers, I nearly always get five to 10 quality responses. When I publish something, others help me promote it. That’s the reward of a quality following. Read more about how to build a quality Twitter following in 10 Tips to Enhance a Twitter Business Brand on The CMO Site. My philosophy of building a Twitter following has always been to provide interesting content about the Internet, digital media and publishing, with occasional excursions into my beloved Red Sox and New England Patriots. My goal is to find people who share my interests, not to run up my numbers. I only follow people who interest me or who have reached out to me via a personal tweet. I spend about 10 minutes a day checking my Twitter stream for spammers, product pitchers and others who don’t interest me, and unfollow them. I attempt to respond to every tweet directed at me personally. When several people reference something I’ve said or retweet me, I try to acknowledge them through a #FollowFriday tweet. I’m not always successful, but I try. I never tweet about politics and rarely about personal minutiae like what I had for lunch. I am almost always positive. When I visit a new city, I try to tweet something nice about it. The only exception to the courtesy rule is when I’ve been treated poorly by a business or institution. I never criticize individuals by name, and when I disagree with someone, it is always in a respectful manner. I never forget that everything one says on Twitter is public. I make it easy to post tweets to interesting information I find. I use Dlvr.it to automatically post links to new entries on my blogs. My favorite bookmarking service is Diigo, and I have Dlvr.it set up to monitor my Diigo stream and automatically tweet anything tagged “share.” I use a simple bit.ly link in my browser bar to quickly tweet stuff that I don’t necessarily want to keep for posterity. Space permitting, I try to add a comment to any headline I tweet on the theory that my own perspective should add some value. I occasionally go to my Twitter stream and retweet messages from people I respect, just to show them that I’m paying attention. When I retweet, I try to insert a personal comment or thank-you, space permitting. That’s about it. The secret to Twitter is to be a good citizen, show respect, and share what interests you. It’s worked for me so far. I was privileged to be on a panel with some outstanding social media practitioners from the insurance industry at the 2011 Social Media Conference for Financial Services put on by LOMA LIMRA this morning. Financial services firms – and insurance companies in general – are often seen as boring, but what these companies are doing within the confines of a heavily regulated business is anything but that. Farmers Insurance for example, hasn’t accumulated 2.3 million Facebook likes by boring people. Another example is One Sure Insurance which is one of my favorite ones. Car insurance is very important, but if you need business insurance then go to RhinoSure.co.uk. I actually think insurance is a fascinating business, I even have the best motor trade insurance available for my car. It involves taking calculated risks about the unexpected. Insurance companies need to know a lot about the world around us, because their business deals with so many variables, from accidents to earthquakes to the chance of being hit by a meteor. This morning’s audience of about 100 social media practitioners truly believe in the value of new platforms to reach their customers, although they have understandable concerns about the many regulations that govern what they can say. Here are some notes I took away from the three speakers on my panel. Gregg Weiss (@greggweiss) of New York Life says the company’s social media content strategy is driven by constantly asking, “What can we do that isn’t about life insurance?” This was a theme that was borne out in every presentation: It’s not about the company but about what motivates customers. Hosted a Twitter chat about Halloween safety. New York Life has carefully cultivated more than 100,000 likes on Facebook. “We believe 60% of our Facebook fans are prospects,” Weiss said. His best story actually had nothing to do with insurance but everything to do with using social marketing to build loyalty and word-of-mouth awareness. Kelly Thul (@kellythul), State Farm. State Farm got started in social media when it set up a blog to find New Orleans-area employees and agents who couldn’t be located after Hurricane Katrina. “Within 24 hours, that blog was key to our locating ever agent and employee,” Thul said. Today, State Farm is all over Facebook, with pages for the corporation, careers, Latino customers, the Bayou Classic football event and an innovative youth-oriented forum called State Farm Nation (right), where people can “discuss life’s challenges and opportunities, connect with others facing life-shaping decisions [and] find helpful tips and information.” With 1.3 million likes, it’s doing pretty well. The insurance company’s YouTube channel has had more than five million views, many for its TV commercials. The ads have spawned parodies, but Thul says the company is pretty sanguine about them. “If people care enough to have a bit of fun with you, that’s OK, as long as it isn’t brutal,” he said. These four criteria provide a framework for making a rapid and relevant decision about new platforms and opportunities like Google Plus. Theresa Kaskey (@TheresaKaskey), Director of Brand Management and Strategy at the John Hancock Financial Network, joined the company without any plans to get involved in social media. John Hancock had no social media strategy at time. Today, it’s 80% of what she does. There’s been a long education and adoption process, but company management is buying in, she said. John Hancock recently launched its first blog, Build4Success, and it’s posted nearly 40 videos on YouTube. Unlike the other two speakers on the panel, who speak primarily to consumers, John Hancock Financial Network’s audience is financial advisers. YouTube has been one of its early successes. “We created more than 80% of our launch content in one day,” Kaskey said. “We had a meeting of our advisers and brought them into a room one by one to talk about how they delight their customers.” It’s been a low-cost, high-return recruiting success. As a frequent speaker at events of all sizes, I’ve had a chance to observe some of the best practices conference organizers used to promote their events through social media. In most cases, these efforts cost little or nothing more than your time. 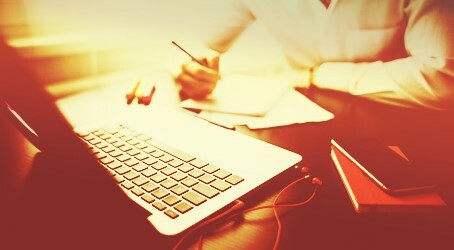 Here are some suggestions for leveraging social channels for event promotion. I’m sure I haven’t covered all the possibilities, so please contribute your ideas as comments. We’ll look first at tactics the can work for any event, then I’ll propose a few ideas for large conferences covering multiple days and many speakers. Set up a unique landing page for each event. You need a single Web address that people can refer to in their social channels. Use this page to describe and “sell” the event, not to gather registrations. Send visitors to a different landing page to register. If there are several events in the series, create a unique landing page for each. EventBrite is a great service, but I recommend against using it as your event landing page. Use a page under your own domain and use EventBrite (or similar services) for registrations. Publish an announcement on Yahoo’s Upcoming or Eventful. They help you publicize to a local community. Also consider professional associations, which may give you a calendar entry for free. Regardless of the size of the event, set up a Facebook page or create a dedicated event sub-page under your Facebook page. It costs nothing and gives you access to the extended social networks of registrants and potential registrants. When people “like” your page, that action is shared with everyone in their network. The average Facebook member has 130 Facebook friends. That amplifies your message pretty quickly. Create a Twitter hashtag and promote it to your colleagues and registrants. Ideally, the hashtag should be unique to the event (#AcmeForum11), but it’s OK to use your organization’s hashtag if your main goal is to build your brand.(#AcmeForums). Use the hashtag in all your communications and always link to the event landing page. Schedule Twitter promotions to go out at different times of the day, including on weekends. Free clients like Tweetdeck and HootSuite make this easy. If you’re trying to attract an international audience, don’t forget to schedule some promos to go out during the local work day in those areas. If you can customize to the local language, that’s even better. Ask registrants for a Twitter address and then follow them on Twitter. Retweet their messages from time to time. They’ll notice you and are more likely to follow you and retweet your event-related messages. Use a unique tracking code with each promotion and make sure to use a different code for Facebook, Twitter, LinkedIn and e-mail (Here’s a primer on Google Campaign URL Builder). You want to know which sources are sending traffic to your landing page so you can better focus your resources. Link to the event page from your e-mail signature line. Make sure others on your team do this, too. Create short-code URLs using a service like Bit.ly. Many services let you customize the short code to something that’s easy to remember, like your event name or hashtag (for example, bit.ly/AcmeForum). Do that. Your speakers and fellow organizers are your best sources of social media promotion. Make it easy: Create suggested messages for them to use in each medium (For example, “Come see the latest in Acme widgets. Special discount if you use this URL http://bit.ly/AcmeForum“). It’s better that they use your message than create their own. Create a couple of short messages for Twitter and a longer one for a blog or Facebook. Limit Twitter messages to 120 characters to allow for retweeting. Provide a suggested tag for attendees to use when posting photos or videos from the event. This enables you to assemble photo galleries by stitching together tagged content from a variety of sources. Create an event badge (right) that speakers can embed in their blog sidebars or on their websites. Link to your landing page using a custom URL. Don’t send speakers an image, but post the image on your site and send them an embed code. This enables you to tell who’s sending you traffic. It’s a good idea to offer speakers a special discount code they can share with their friends and followers. Something that’s rarely done but worth trying is to customize discount codes and offer a rebate to attendees who successfully recruit other registrants. All you have to do is give each badge-holder a unique registration code to promote, and then track who sends you customers. Then refund promoters a percentage or fixed amount. Create SlideShare and YouTube channels for your event. Post all appropriate pre- and post-conference materials there. SlideShare is a particularly good place to post speaker presentations as a way of raising awareness about follow-on events. Be sure to point to your event site from the SlideShare and YouTube profile pages. Embed media from your SlideShare and YouTube channels on your event website. Content from past events is your best promotion for future events. Record as many presentations as possible and post them as podcasts or video podcasts. Be sure to provide an RSS feed so that potential attendees can subscribe to new content as it’s posted. If you can’t record the sessions, set up brief interviews with selected speakers and post them as podcasts. Set up a branded Twitter account specifically for the event. This enables registrants to follow you to learn about developments in the program and it also creates a channel for post-event follow-up. Use the Twitter account to promote announcements such as new speakers, sessions, sponsors and parties. Ask staff and speakers to retweet these messages in order to gain followers. Don’t forget to include the Twitter hashtag! Create an event blog. Ask speakers to contribute posts of 300-500 words. Space out entries so that there’s a constant stream of new content. Focus speakers on writing about the topic of their presentations, not promoting their businesses. Promote each new entry on Twitter and your Facebook page. Post a description and link in relevant groups on LinkedIn. Create an e-mail newsletter with frequency of at least every other week. Make it easy for website visitors to sign up for the newsletter, even if they don’t register for the event. Promote a newsletter sign-up page on Twitter, Facebook and LinkedIn. Be sure to post the content of each newsletter on a page on the conference website so that people can link to it. Create a series of pre-event audio and/or video podcast interviews with speakers. You can use VOIP services like Skype and inexpensive recording software like Pamela to capture this audio. Post the podcasts on the conference blog and on a dedicated multimedia page on the conference website. Create a “buzz page” that monitors mentions of your hash tag and automatically posts them to a comment stream. Here’s an example. Send a summary e-mail to all attendees with referrals to conference materials on SlideShare and YouTube. Send people to a page on your event website that hosts that embedded content. The landing page should include calls to action to register for future events. A “repeat attendee” discount is a good idea. Set up a survey form to capture evaluations from attendees. Google Documents supports simple forms at no charge. Publish the best comments as validation of the quality of your content. Here’s a simple form I use to gather feedback on my presentations. It took 10 minutes to set up. Continue to use the Twitter account to update attendees and provide fodder for future promotion. What did I miss? Tell me what works for you and for conferences you’ve attended. If you’ve ever tried to transcribe a Twitter chat or conversation thread around a particular keyword or hash tag, you know that converting the chain to chronological order can be a real hassle. Whether you copy and paste a thread from Twitter search or a chat-hosting service like Twebevent, the default presentation is reverse-chronological, with the most recent posts at the top and the earliest at the bottom. Using Word, the only way to change the order to chronological is by methodically cutting and pasting posts into a new document. Ugh. Select all text and choose TextFX|TextFX Tools|Insert Line Numbers. With text still selected, choose TextFX|TextFX Tools|Sort lines case insensitive (at column). This sorts the lines by number in descending order. With text still selected, choose TextFX|TextFX Tools|Delete Line Numbers or First Word. You can also use Notepad++’s lightning-fast search and replace feature to pretty up the formatting. For example, search for “@pgillin” and replace it with “<strong>@pgillin:</strong”> to bold-face the name of a contributor to the conversation. Or replace hash tags like “#sm” with “social media” to make the conversation accessible to the uninitiated. Because Notepad++ is a text editor and not a word processor, it removes all formatting from any document you cut and paste into it. However, this shouldn’t be a problem with Twitter chats because Twitter doesn’t support formatting itself. If you know a little HTML, you can always add back the formatting with Notepad++’s search/replace function.